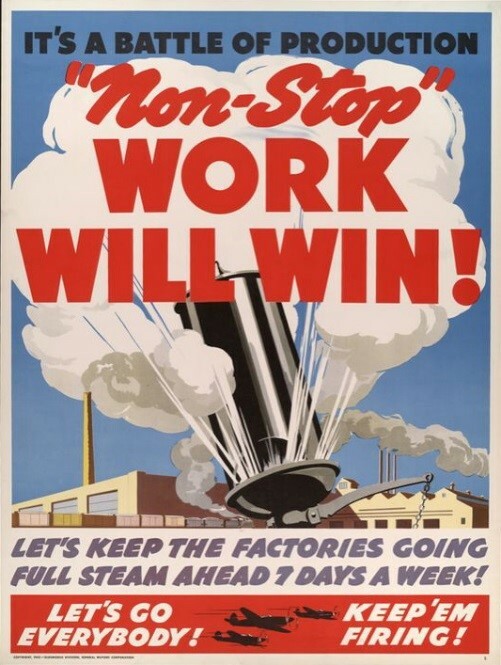 A typical poster meant to boost factory morale during WWII. 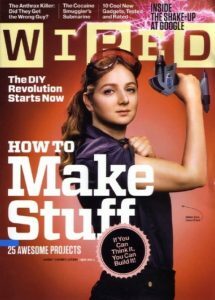 The manufacturing industry lost a legendary figure. Naomi Parker Fraley passed away on January 20, 2018. However, many of you might not know her by name. 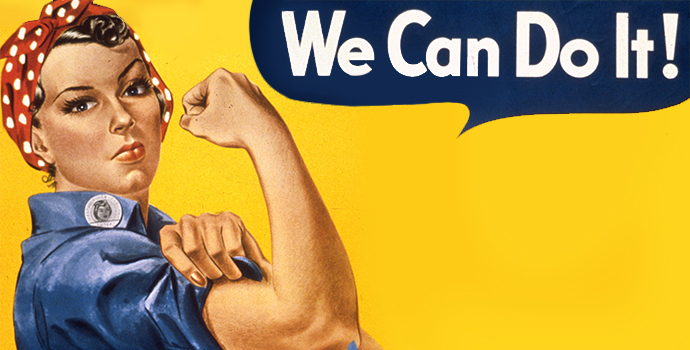 You might be more familiar with the iconic character she inspired: Rosie the Riveter. The famous poster was painted by Pittsburgh artist J. Howard Miller and posted throughout Westinghouse Electric Corporation plants in 1943. It was part of a vast series of posters meant to both increase worker morale at home and court new employees for factories and the military. 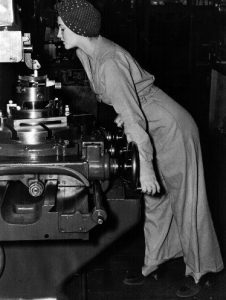 The massive influx of women into the workforce was necessary as the U.S. attempted to keep their manufacturing going 7 days a week to support the war effort. Norman Rockwell’s famous take on a classic. 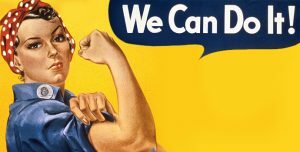 The famous painter, Norman Rockwell, created his own version of the as-yet-unnamed woman in the “We Can Do It!” poster that same year. The name Rosie is written on her lunchbox, perhaps indicating that Rockwell had listened to the song. 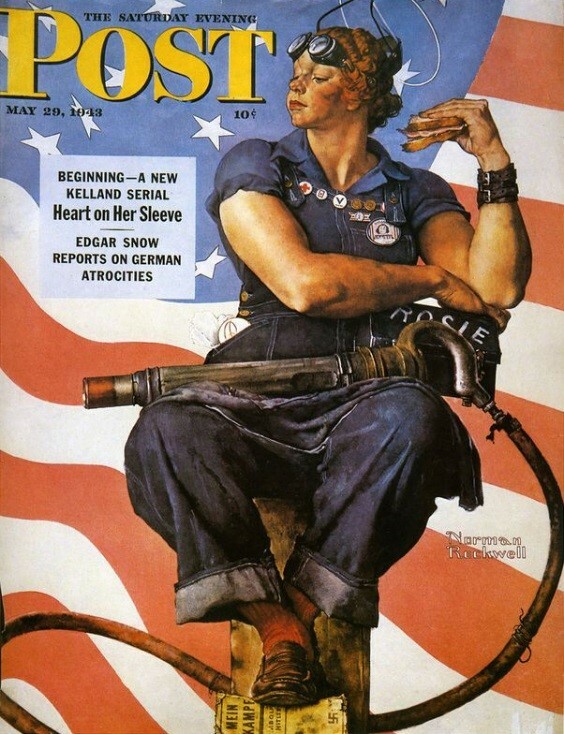 It is because of the extreme popularity of Rockwell’s work that the woman in the original poster received her signature moniker, Rosie the Riveter. Unfortunately, the poster faded into obscurity quickly, as many more were made and disseminated during World War II. In a turn of fate, the 1980s rolled in and brought with it a revitalization of interest in Miller’s work. This was reinforced by the fact that his initial poster could be easily reproduced, unlike Rockwell’s work, which was under strict copyright. The depiction of a strong and capable woman in a position typically held by men inspired countless women and quickly turned Rosie into a cultural and feminist icon. Many women have claimed to be the inspiration for Rosie, including Geraldine Hoff Doyle. Doyle was a Michigan woman whose claim was repeated in obituaries when she died in 2010, making her the most accepted inspiration for Rosie. 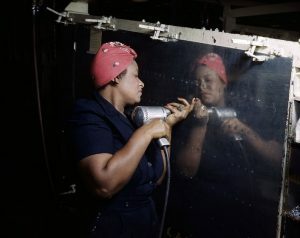 However, while attending a convention for women who worked during the war some years before Doyle’s death, Fraley saw the photograph that Doyle said was evidence of her being the real Rosie. The photo that inspired the legend. Fraley immediately recognized herself as the subject of the photo. 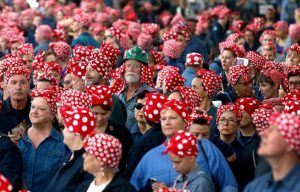 You can clearly see the iconic polka-dot head scarf and Fraley’s uncanny resemblance to Rosie. Still, the photo was credited as being of Doyle, and with no proof of identity, there was not much Fraley could do. It’s easy to see the impact WWII had on U.S. manufacturing and welding. What is harder to quantify is the impact made by thousands of untold stories of perseverance that made the workforce what it is today. 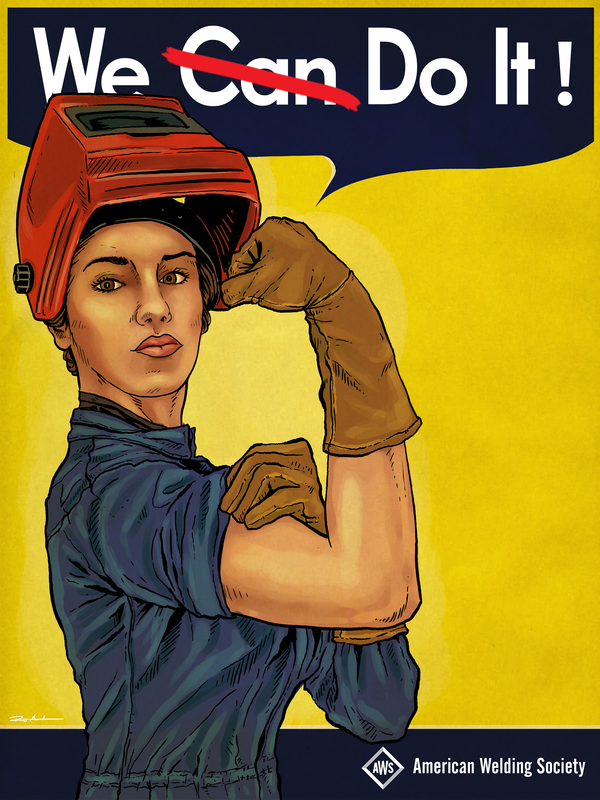 Though Mrs. Fraley has passed, the character of Rosie the Riveter will continue to live on and inspire positive change around the world. The following is a small gallery of images showing Rosie the Riveter’s far-reaching impact on American culture and individuals. 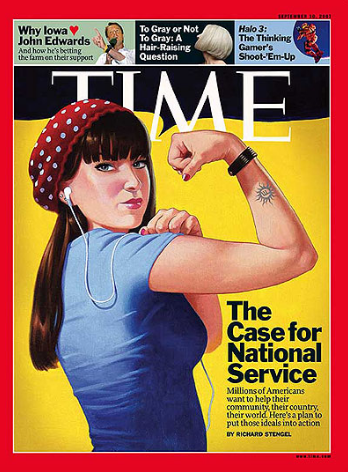 Sept. 10, 2007 TIME magazine cover. 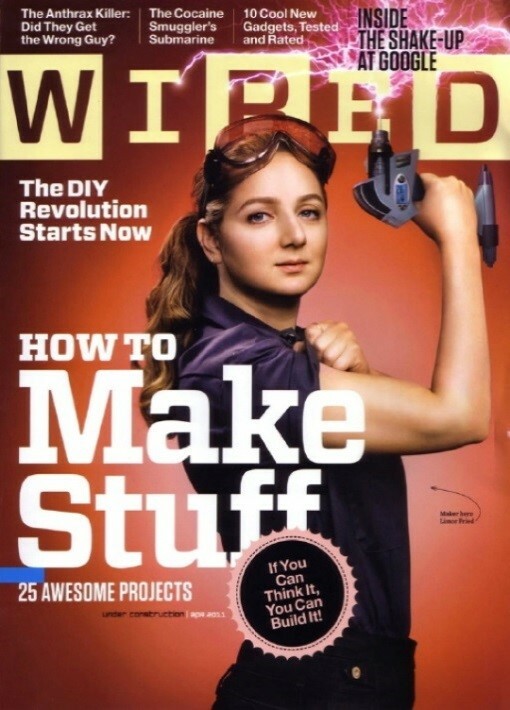 April 2011 Wired magazine cover. A real-life Rosie the Riveter working on an A-31 Vengeance dive bomber circa February 1943. 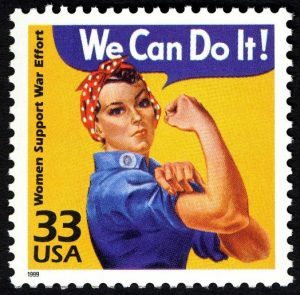 Rosie’s stamp on US history. 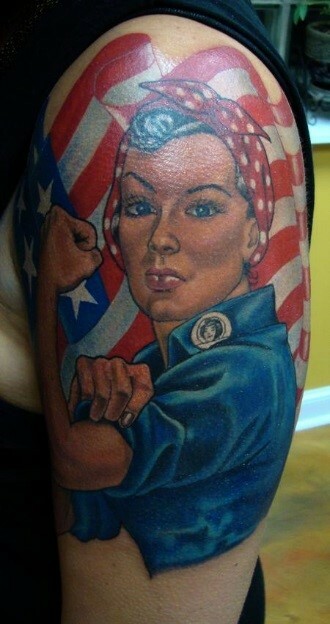 Tattoo paying homage to the iconic figure. 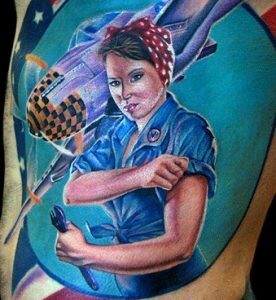 Rosie leaving an indelible impression in tattoo format. 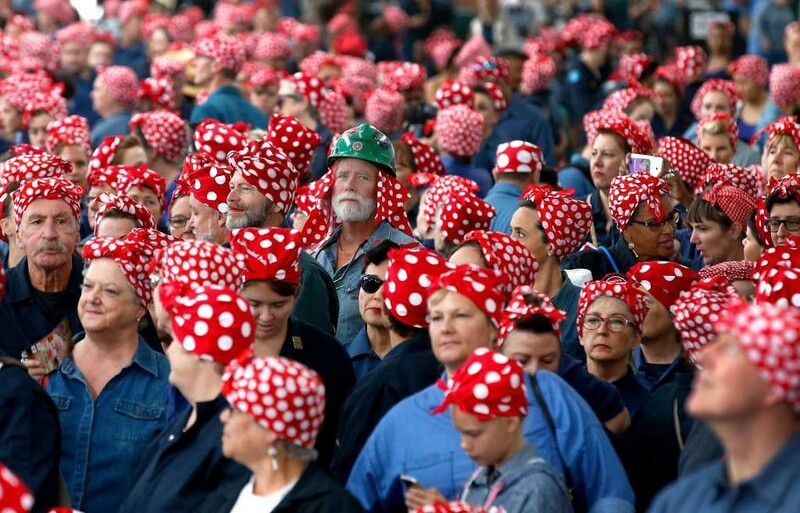 Field of Rosies at a Rosie the Riveter Festival in San Francisco.